As the marketing expert on a consulting team, I have been providing planning, problem solving and strategic direction, developing branding and messaging, as well as leading creative specialists to execute advertising, traditional marketing and online programs that achieve client goals. Developed and implemented online strategies to increase awareness of a program featuring a nationally ranked speaker, driving registrations 80% within 48 hours. As a marketing lead at Qwest, I was responsible for strategies and execution in local and emerging programs, from analysis, planning and budgeting, through performance evaluations with ROI analysis. I led initiatives, interacted with partners, and managed vendors. Drove 76% growth of an affinity program by improving the strategic direction of marketing tactics including advertising, email, direct mail, online ads and websites. Multiplied product promotion for minimal cost through affiliate programs and online partnerships. Determined the viability of emerging markets programs through business case evaluation and ROI analysis. Generated more than 43,000 sales and $20 million in revenue through a customer incentive launched in call centers, online and in retail stores, in English and Spanish. Achieved record-high key performance indicators through an integrated plan of localized advertising, events, sponsorships, direct mail, emails and landing pages. As a product manager, I introduced and developed sales of TV services through Qwest sales channels, vendors and websites. I managed the customer experience, launch programs, training, CRM and reporting, collaborating with DIRECTV and DISH Network. 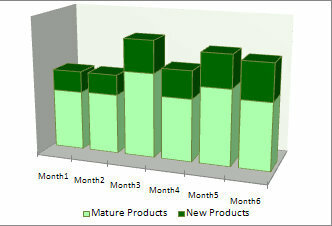 Developed and implemented marketing, training and sales support programs that increased TV sales 45% within 8 months. Collaborated in planning and implementing a product launch that increased sales 110%. Designed a new customer call flow and negotiated 2-week IT implementation, resulting in a 70% drop in misdirected calls. I began my career at Qwest leading initiatives and geographically-dispersed teams to develop, launch and market DSL services. My responsibilities included research and analysis, internal/ external messaging, project management and performance tracking. Researched customer needs and used the data to develop, position and launch products, increasing the customer base 62% in one year. Drove sales 63% by planning, negotiating and managing implementation of promotional offers and pricing, with internal and external marketing. Led a cross-functional team that cut subscriber losses 30% by applying customer research to improve service, earning an Executive Vice President Commendation. At Motorola, I was responsible for generating strategic global marketing communications, advertising and public relations. In addition, I established employee communications to integrate five campuses. I supervised three associates in program implementation. Developed and implemented communications plans, including publicity, electronic media, collateral, conferences, trades shows and presentations, for multiple businesses and products. Achieved advertising recall scores as high as 76% to increase awareness and business leads. Created customer profiles, competitive analysis, positioning and messaging. Managed content of four websites and served as the public contact for questions. Led the Marketing Communications Team for broadband products. Spearheaded press coverage of Iridium, Celestri, Teledesic and LMDS technologies. Produced events for worldwide audiences, including supplier and product conferences, earning a Certificate of Achievement for Significant Contributions. In my consulting business, I provided comprehensive marketing, advertising, and communications services. Developed targeted advertising that tripled a client's sales leads, providing pay back within 2 weeks. Generated corporate identity and public relations strategies for an Initial Public Offering that raised $18 million in equity for a small business. Developed programs that increased hospital admissions 20%, at 15% under budget. Provided market entry strategies into Canada for a Phoenix-based corporation. My clients included The Apollo Group, Columbia HCA/ Paradise Valley Hospital, McMurry Ad Group, Motorola, and Sky Harbor Airport. As Moses Anshell's Marketing Director, I was responsible for directing agency strategic planning and new business initiatives, managing research and analysis, and developing client marketing communication plans. In addition, I provided client service and managed nine accounts. Led a team that acquired 6 accounts within 6 months, doubling the size of the agency. Developed the agency's first strategic plan for national expansion, integrating advertising, publicity, direct marketing, special events and community involvement. Planned an integrated print and direct mail campaign that delivered a response rate exceeding 20%. Clients included ASU Public Events, the Arizona Biltmore, Scottsdale Chamber of Commerce and Valley of the Sun YMCA. "Your experience and understanding of this program coupled with an expert skill set in Marketing make you indispensable to the growth and success we need to achieve." I am an award-winning, data-driven marketer. I deliver strategic marketing for exceptional results, whether managing programs independently or leading large multiple-location teams. My early career was in the marketing communications/ advertising agency business. I worked in one of the top agencies in Phoenix, on local, national and international accounts, mostly in tourism, hospitality and non-profit. Later I started a consulting business. A client offered me a position and I moved into corporate marketing, managing critical communications about the first global telecommunications system. My experience has included marketing of technologies and telecom, product management, and launch/ commercialization teams, both B2B and B2C. I develop integrated multi-tactical strategies and campaigns that achieve business results, from market research through strategic planning, implementation and tracking. I focus on customers, understand them, and make decisions based on relevance to them. My colleagues and clients have described me as "creative, innovative and highly resourceful" from strategy to execution -- a true problem solver with a natural ability for thinking outside the box. Some of their quotes are captured on this VisualCV. I look forward to hearing from you and discussing the marketing opportunities in your business.